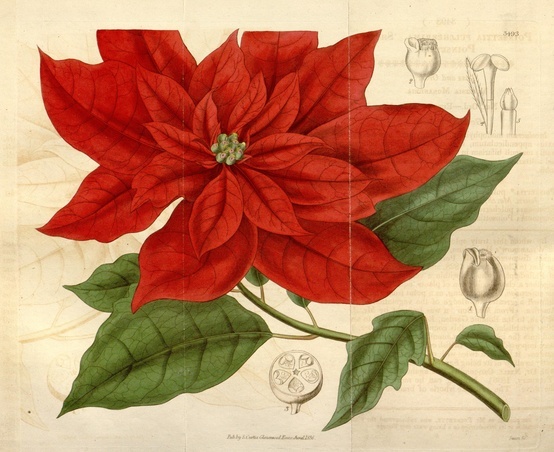 BotanicalArtistry.com is a resource for botanical artists and lovers of botanical art. It contains information on all kinds of botanical art - painting, illustration and prints. You might want to browse through the image gallery to see examples of botanical art from more than 200 members. Artists who want to add their information and images can sign up for an account - its free! In 1692 an artist known only as “A. Boogert” sat down to write a book in Dutch about mixing watercolors. 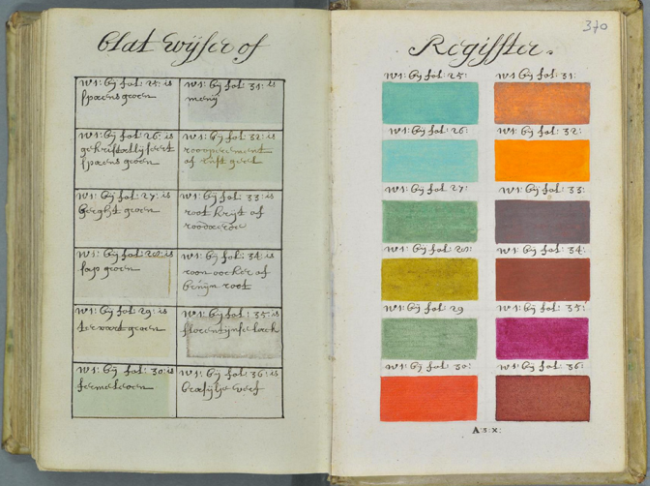 Not only would he begin the book with a bit about the use of color in painting, but would go on to explain how to create certain hues and change the tone by adding one, two, or three parts of water. The premise sounds simple enough, but the final product is almost unfathomable in its detail and scope. Just another reminder to check out the biodiversity heritage library. For a quick look go to the flickr group, or for more detail head to the bhl website. What makes a good scientific illustration? When you open a science textbook or magazine, it’s often the images that capture your attention. Some of these images help you visualise the topics, while others – such as diagrams – can be instrumental in helping us understand difficult concepts. Creating scientific illustrations can require collaborations between scientists and illustrators. Sometimes they require an illustrator with specific skills or training, such as a natural history or scientific illustrator. A scientific illustrator is defined as an illustrator who serves science. So assuming that the artist is working with a scientist there shouldn’t be any problems. an illustration that describes the subject accurately but incorporates specific surface detail such as colour and patterns, etc. Accuracy in terms of shape and related parts is paramount, regardless of the amount of detail, but there are several variations on this. In the case of a beetle, the legs are in the correct scale compared to the body. The amount of surface detail, pattern, body markings and so on can be relatively simple or more complex depending on the type of rendering. Simple black line with shapes to define pattern or stippling to define shapes, tone and form of the subject. The normal process of drawing a beetle specimen is to look at the fine details of the beetle under a microscope and then start drawing. The details and accuracy are checked with the scientist before the final rendering begins. Care must be taken that artistic license is avoided and the artist sticks to the truth. The main techniques the artist uses are stippling or cross-hatching and the surface either scraperboard or ink on Bristol board. These techniques and surfaces give the clean delicate lines required for the production of an accurate scientific illustration. An example of a good scientific illustration of a bird is one that displays detail that is flattened, so that identification is made easy. 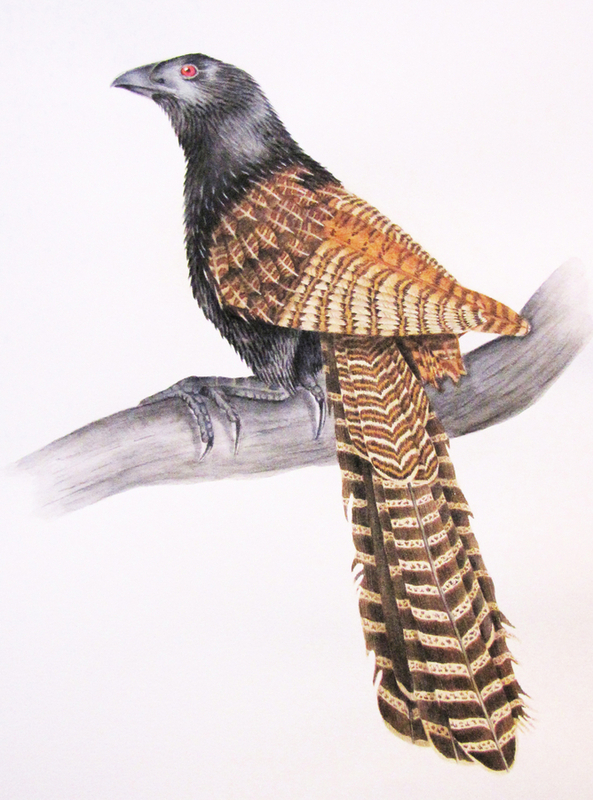 When standard artistic techniques are used to embellish the bird, it is no longer considered strictly as a good scientific illustration, even though it may be a good artwork. This is because the shadows, which describe a subject’s form, are not important to identifying the bird species, and thus could be considered a distraction. The important issues for the scientist are that the illustration or diagram shows all the necessary parts clearly, accurately and to scale, to impart the information they are trying to communicate. 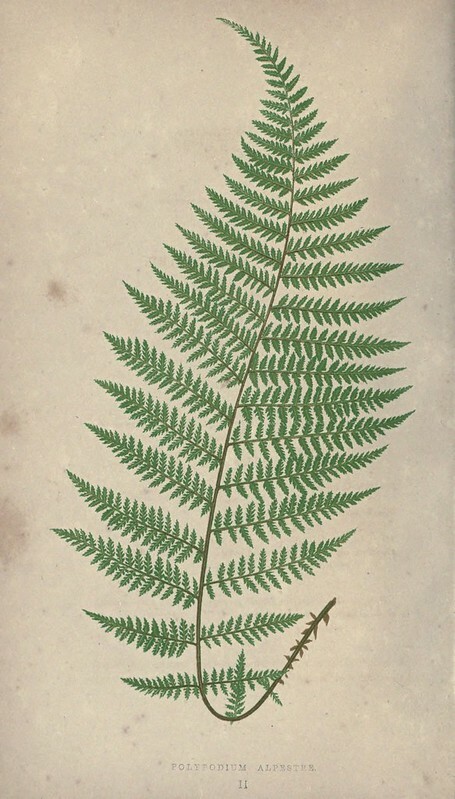 Botanical plates must describe all identifiable parts of the plant, provide a reference of scale and describe illustrated elements in a legend. 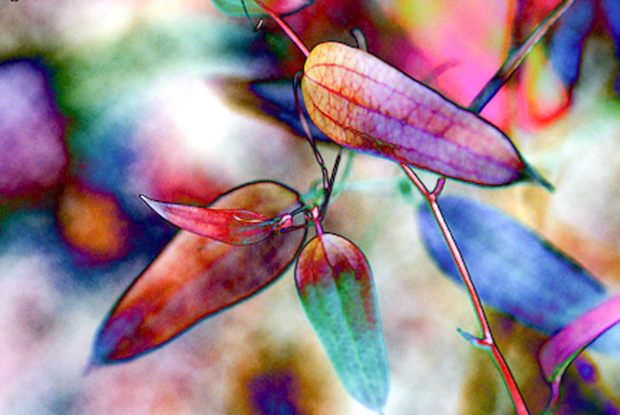 Esther Beaton has what looks like a very interesting exhibition of photographs of Australian native plants that have been digitally manipulated to create some striking effects. It is on until 30 January. For further information see the exhibition website or this photo gallery on the Australian Geographic. For anyone who wants to look at great botanical art you could do a lot worse than checking out the Biodiversity Heritage Library. There are a couple of options - you can have a look at the Flickr Group where users have searched out images and added them to Flickr, or head over to the site itself where you will see the illustrations in their context along with yellowing pages of descriptions by botanists. The Biodiversity Heritage Library is an amazing resource for natural history illustrations and they are working hard at making these more accessible. At the moment they want feedback on how people would search for images and how they should be described. This is explained better on their blog. I'd encourage you to have a look and make a comment if you feel that the draft terms for describing illustrations could be improved. Hillary Parker, ASBA member from the USA, will be in Australia in November 2012, teaching a botanical watercolor Masterclass called "Finding Your Artistic Voice Through Composition" to the RGB Melbourne Friends and is available to teach to other botanical watercolor art groups in southern regions of Australia during the week of Nov. 10-17, offering a variety of different topics and time ranges from something small such as a 1/2 or 1 day Lecture/Demonstration, to a 1 or 2 day workshop or Masterclass. These are some really amazing botanical art pieces. Artist Macoto Murayama uses an array of digital programs, like Adobe Illustrator and Photoshop and even 3-D modeling, to create highly visual works. By highlighting and separating specific pieces of the flora, Murayama wants to show the technical and almost mechanical aspects of these organic organisms. Entries for the 2012 Margaret Flockton Award are due on Monday 6th February 2012. The award is run by the Friends of the Botanic Gardens Sydney and commemorates the contribution Margaret Flockton made to Australian scientific botanical illustration. It is an interesting award in that only black and white illustrations are permitted and the focus is on producing a publication quality scientifically detailed illustration. 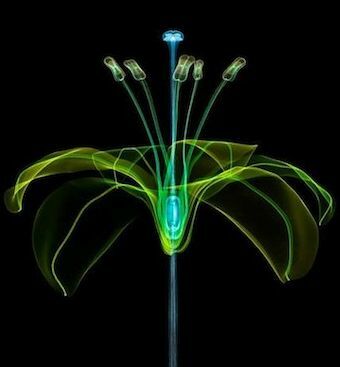 Works are judged on accurate interpretation and portrayal of plant characters and diagnostic features, technical merit, reproducibility, composition and artistic merit. See the website for further details. Can a whimsical and largely discarded branch of illustration be used to reinvigorate botanical education? Peter and his co-author Retha Meier review the works of C.M. Barker (England), W. Crane (England), May Gibbs (Australia), J.J. Grandville (France) and M.T. Ross (America). All produced detailed illustrations featuring anthropomorphic flowers, stems and edible plants. The tragic J.I.I. Gerad (a.k.a. Grandville, 1803-1847) began this trend in floral fantasy to amuse a mature audience of sophisticated Parisians but his techniques were assimilated by later author/artists of children's books. Within little more than a century (1847-1952) their combined oeuvre reminded or taught viewers simple, amusing and often visually accurate lessons in plant morphology/identification, phenology, economic botany, plant-animal mutualisms and phytogeography. These drawings, often reinforced botanical information by employing visual puns and satirizing the old, European, 'language of flowers'. We could certainly use a little of this style today with the fundamentals of plant biology taught so infrequently in many countries. In particular, author/illustrator, May Gibbs (1879-1969) developed the art of 'people plants' to introduce generations of Australian children to plant diversity common to southeastern and southwestern Australia. Peter Bernhardt is a Professor of Biology at and a Research Associate of the Missouri Botanical Garden (St Louis) and the Royal Botanic Gardens, Sydney. Research in the Bernhardt/Meier laboratory concentrates on flower evolution and the pollination systems of rare and threatened plants in North America, Australia and China. Peter is the author/co-author of 75 reviewed journal articles and four popular books on plant life including 'Wily Violets and Underground Orchids' (1989) and 'Gods and Goddesses in the Garden' (2008). He has a keen interest in how plants have been incorporated as characters in children's literature. See IBC website for details.